The Wedding Gallery: Your One-Stop Wedding Department Store has arrived! 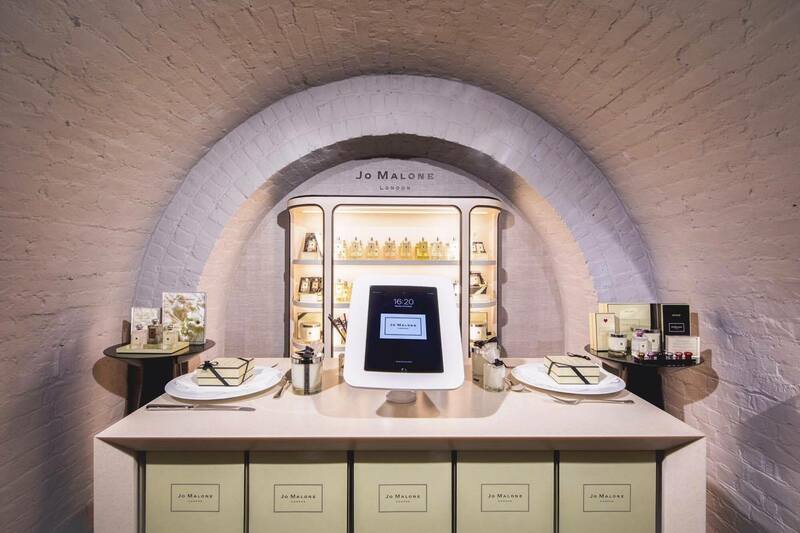 Calling all brides and grooms, the UK’s first shopping venue dedicated to weddings has opened. The Wedding Gallery is located at London’s iconic space – One Marylebone, and is situated over two floors, covering over 22,000 feet. It features literally everything you can think of that features in a wedding, and a lot more, from the first steps of proposing all the way through to where the couple want to go for their honeymoon. 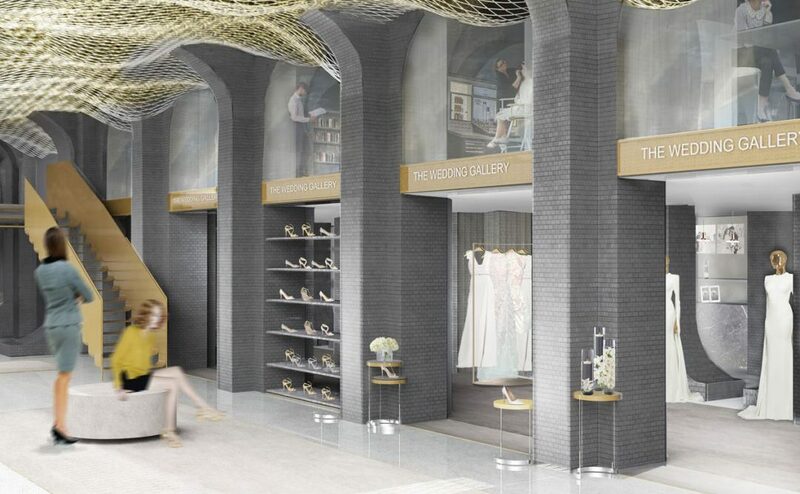 The Wedding Gallery includes the industry’s experts in luxury weddings and allows brides to shop from an unrivalled collection which has been carefully curated. There are over 200 exquisite bridal brands including dresses from Elie Saab, Oscar de la Renta, Suzie Turner and Amanda Wakeley, lingerie from La Perla, Hanky Panky and Ender Legard, and shoes from Jimmy Choo, Sophia Webster, Charlotte Olympia and Freya Rose. You can choose one of four ways to get the most out of your visit to the Wedding Gallery. You can book an appointment with one of the expert Wedding Gallery Consultants who will help you, whether you are at the start of your wedding journey or just need a few tips to finalise your plans. Enjoy this appointment with two other guests and a glass of champagne for 75 minutes at £50. If you need help specifically with styling the bride then an appointment with the Wedding Gallery Stylist will help you with the whole look, from the dress to the make-up, accessories, hair, lingerie and even jewellery. Enjoy this with two other guests for 60 minutes for £30. If your man could do with some tailoring tips then send him off to the same Wedding Gallery Stylist where he will receive expert tips on ready-to-wear pieces as well as bespoke suits, all the accessories including shoes, ties and jewellery. This appointment is available for three additional guests for 60 minutes for £30. If you just want to have to look around and don’t fancy committing to anything just yet then book a complimentary appointment where a member of staff will show you through all the accessory areas including make-up, shoes and lingerie. This is ideal for those that don’t need to look through the bride or groom departments and is available for two additional guests, costs nothing and lasts for 75 minutes. If all this hasn’t convinced you to book an appointment then we should also mention that as well as the wedding dresses, groom’s suits, bridesmaid’s outfits, shoes, make-up, jewellery, hair products and lingerie there’s also amazing floral arrangements from some of the industry’s renowned florists and Instagram-worthy wedding cakes. Once you have finished shopping you can always relax in the champagne bar or check into the dedicated beauty area, hosted by Urban Retreat. There are plenty of in-house experts who can advise on anything wedding-related from caterers to photographers to choosing the music to writing the speeches.